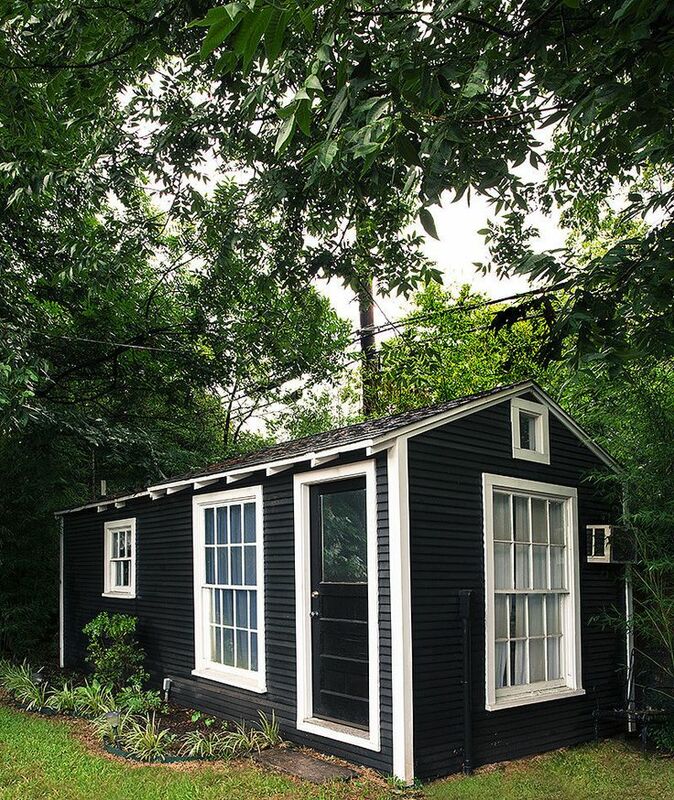 Love the love of converted sheds in our last post? 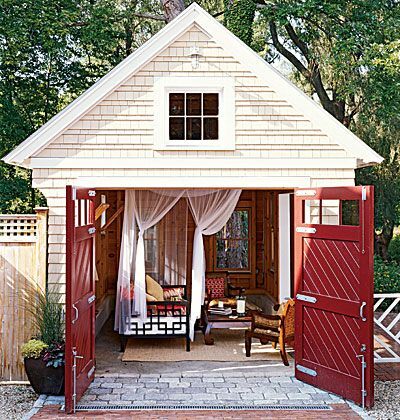 Want to get in on the converted shed trend, but lack an old shed, guest house, barn, or garden shed to convert into a thing of beauty? 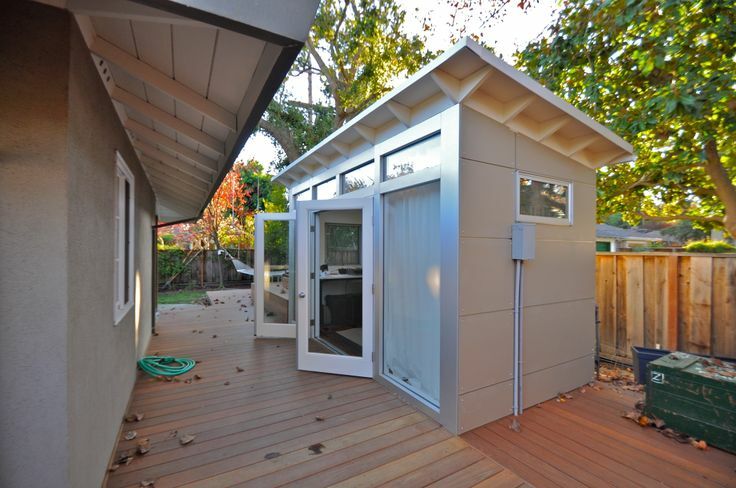 You can buy a ready-made, pre-fabricated shed and have it installed in your backyard. 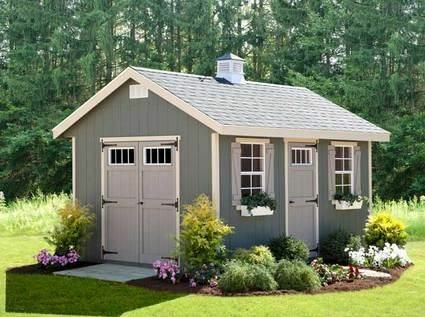 Often cheaper than adding an extension to your home, these outdoor sheds are durable, built to last, and very attractive. 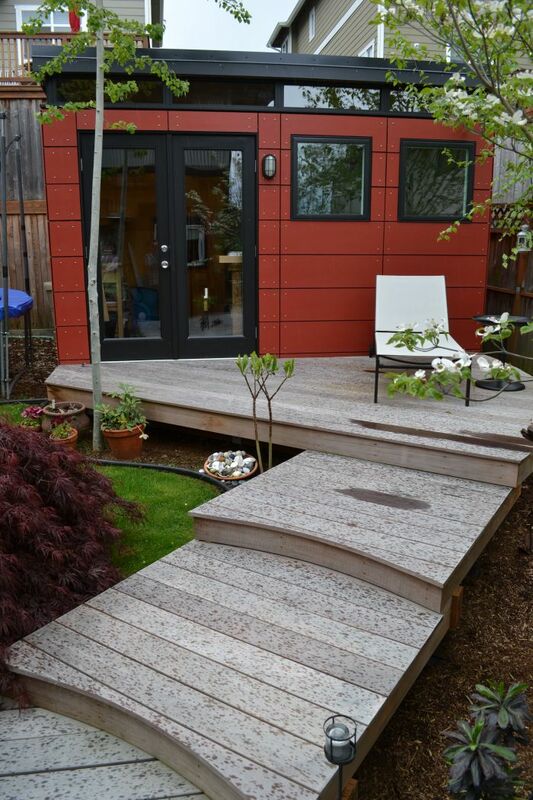 These tiny, pre-fab structures are either shipped to you in kits for assembly or assembled right in your yard! Tips and Tools for Selling A Luxury Home! There is a science to properly selling a luxury home, but fear not, it isn’t rocket science! It is true that lot of real estate agents are clueless when it comes to selling luxury homes, but the same can be said for the owners of a luxury homes. An importance must be placed that the proper steps are taken to ensure the home is sold at a fair market price yet also in a timely fashion. Selling a luxury home is quite different than your standard, boiler plate home sales because luxury homes are a different breed of home. Tactical shifts in marketing, pricing and timing are essential to the successful close of the sale while procuring the best possible buyer. Understandably, the housing market shrinks a little when it comes to the amount of luxury homes for sale and possible buyers, so it is crucial to use the right mixture of savvy marketing skills and getting creative when connecting qualified and interested buyers with a luxury listing. Keep in mind, selling a luxury home presents a heightened level of difficulty and expertise than the non-luxury home market. It doesn’t have to be impossible however, and by considering the above 8 tips to consider when selling a luxury home, the process can be smooth and less stressful! Using this blog, we will explore performance and trends of the luxury housing market, and offer you tips and useful techniques to find success! Pricing a home correctly, from the beginning, is extremely important whether selling a $100,000 home or a 1.5 million dollar luxury home! A common real estate pricing mistake that is made is hiring the real estate agent who suggests the highest price and in the luxury home market, this can be a huge mistake. It’s extremely important that a luxury home is priced competitively or aggressively from the beginning to attract buyers from the beginning. It is more common for a luxury home to sit on the market for longer than a lower priced home, however, a luxury home does not have to sit on the market if priced properly from the beginning!To ensure the price is right, an in-depth comparative market analysis, must be completed on a luxury home in order to determine a competitive or aggressive price. A real estate agent should spend several hours massaging the data, touring other comparable luxury homes currently for sale, and calling other real estate brokers who have recently sold comparable properties to the subject home. Often times there are homes that are extremely similar to others in certain neighborhoods. It is rare to find a luxury home that is identical to another, so knowing every amenity a luxury home has is crucial when determining the price. KNOW YOUR PRODUCT! How Will The Luxury Home Be Marketed? The price at which a luxury home enters the market does a fair amount of the required marketing, however, there are other marketing tools that should be used when selling a luxury home.Print advertising and direct mailing should still be apart of any real estate agents marketing arsenal. The internet, however, has significantly changed how homes are bought and sold. It is extremely important that a real estate agent utilizes the internet when is selling a luxury home. As a real estate agent, one of the most useful tools can be having your own website and/or blog and that it is mobile responsive as well. Many home buyers are shopping on their tablets and mobile devices. Staying up to date with technological trends is key in being able to successfully sell any type of home in this day and age.When selling a luxury home, it’s important that a real estate agent uses social media. Social media is an essential marketing tool for real estate agents because they can help give their clients wider reaching exposure! Unfortunately, this is a marketing tool that is drastically under-utilized. Ask yourself, what percentage of people in the market to buy or sell a home have a Facebook Page, a Twitter handle, or Pinterest Account? 95%+? By not marketing a luxury home for sale on social media, a real estate agent is doing their client a huge disservice! Think of how many potential buyers out there wouldn’t be able to discover this listing because a real estate agent is not using social media platforms to promote it. Will There Be Any Open Houses? A very popular question many home owners have for real estate agents is, are you going to have an open house? There is much debate whether public open houses help sell homes or not. When it comes to luxury homes, public open houses do not help sell homes. When it comes to selling a luxury home, public open houses often bring in people just interested in seeing how the “rich and famous” live. There is absolutely no way to determine whether the people coming through the open house are qualified to purchase the luxury home or not! I should mention however, that for both luxury and non-luxury homes, it is completely up to the seller’s decision to have a public open house or not.While public open houses do not help sell luxury homes, broker open houses can be helpful. A broker open, which is an open house for local real estate professionals. This allows real estate agents who have buyer prospects looking for luxury homes to view possible matches. A broker open is much more successful if the real estate agents who sell luxury homes locally are able to attend, as they have the greatest probability of having a client for the home! This is a much more direct way of reaching potential buyers and will save the seller time and energy in the long run. Luxury homes are often luxurious because of their location and lifestyle. If a luxury home is part of a development which includes a clubhouse or yacht club privileges, it is important they are being showcased in the listing information. This is another reason why utilizing video or virtual tour when selling a luxury home is a great marketing tool as it is a very good way to present a homes location as well as the lifestyle. Will Any Staging Be Done? Many factors must be used together to effectively close a sale on a luxury home, and one of them is allowing the prospective buyer to imagine themselves in the home doing something they might do while living there. Staging does not sell homes but it certainly can help! There are many sellers who believe that by hiring a real estate agent who has a staging designation, their home will sell because their home has been staged. This is a very common misconception. Although staging is a key element in the process, it is but a single ingredient in the recipe of closing a sale on a luxury home. Many times, staging is done to elicit an emotional response from a prospective buyer. An effort to make them think, “I must have this home!”When selling a luxury home, staging will help maximize the price offered while minimizing the time spent on the market. It is important that the appealing amenities which make the home luxurious are being showcased. Consider, for example, if there is an outdoor BBQ, is it staged so that potential buyers can envision their summertime gatherings? If a luxury home has an over-sized formal dining room, does it have elegant place settings with fine china at each place setting to help a buyer envision what their fine dining parties may look like. These, among other ideas, are something to ponder when getting ready to show a listing to prospective buyers during an open house or a private showing. Patience is a virtue for a reason. One of the biggest things that a seller needs to consider when selling a luxury home is that having level headed patience can mean the difference between eventually finding an interested buyer and the listing lingering on the market for months on end. Selling a luxury home will normally take longer than a non-luxury home. Sometimes much longer if the process is not approached properly, so I will repeat myself…BE PATIENT!One major reason that luxury homes take longer to sell than non-luxury homes is the number of possible buyers available to purchase the home. Face it, there are many buyers who can afford a $150,000 home entering the market on a daily basis. but there are far fewer buyers entering the market who can afford a 1.5 million dollar home. For this reason alone, it’s important to be patient and understand that if the above tips are being practiced, a buyer will surface!Thought it may seem that finding a buyer is taking forever, keeping a cool head is key. You don’t want to change your marketing strategy or drop the price on a lark just to see if any prospective buyers are out there waiting for the right conditions. 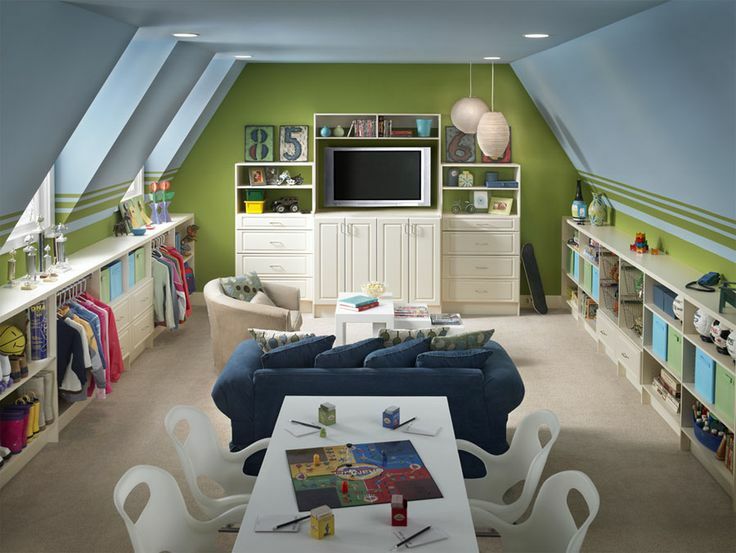 Many homes in San Diego offer a bonus room or loft space that can be utilized in a number of different ways. 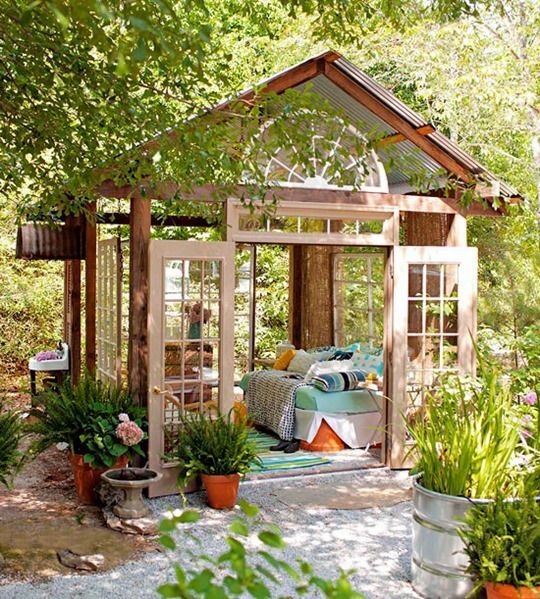 This extra room can often be enclosed to create an additional bedroom. 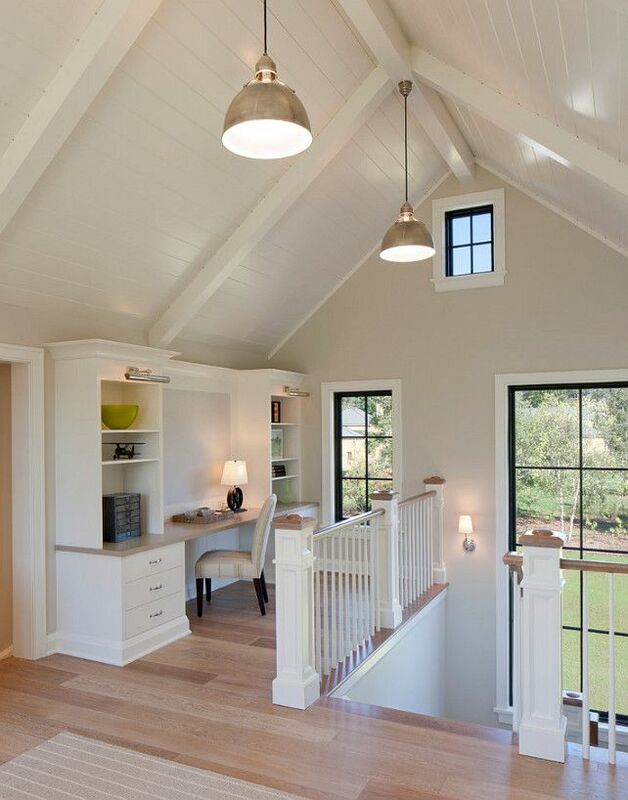 But thinking outside the bedroom box, this space could be transformed into a wide variety of spaces, from a dedicated office, to a playroom, homework room, home theater, craft room, library, additional sitting room, or mixed use space. 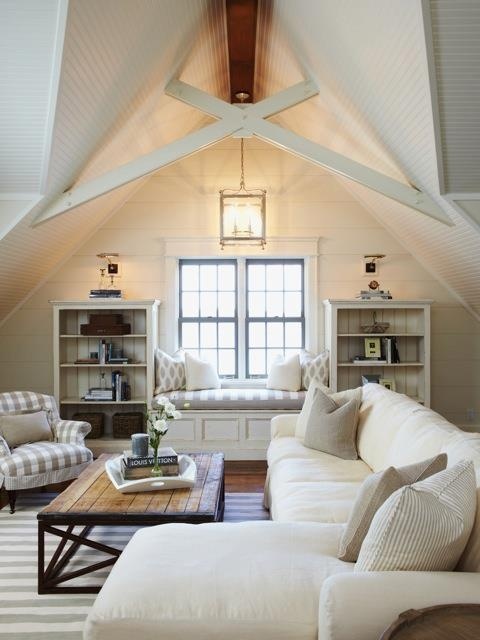 We’ve rounded up 5 of our favorite ideas to re-imagine the bonus room below. Heat oven to 400° F. Arrange the prosciutto in a single layer on a baking sheet. Bake until crisp, 8 to 10 minutes. 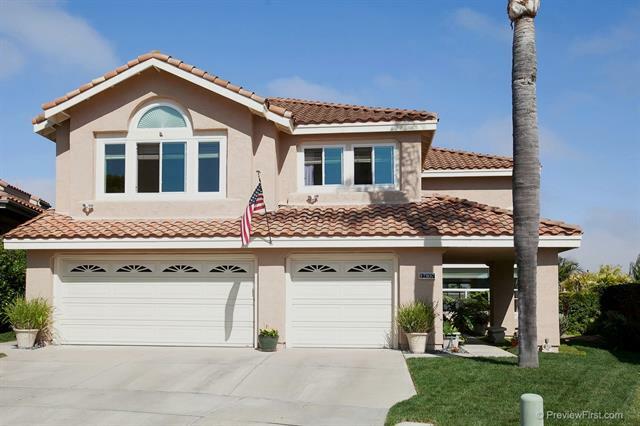 Enjoy the Del Mar lifestyle & the lovely views of the ocean & Crest canyon from this elegant & peaceful home on the hill. From the moment you walk in you are captivated by the views to the beautiful canyon framed by a sculptured pine. The home has newly refurbished hardwood floors, new carpet & fresh paint throughout. Loaded with lots of natural light & views from nearly every window this 3 bdrm + opt, 2.5 ba home will win your heart. Large lot! SOLD for $2,450,000. 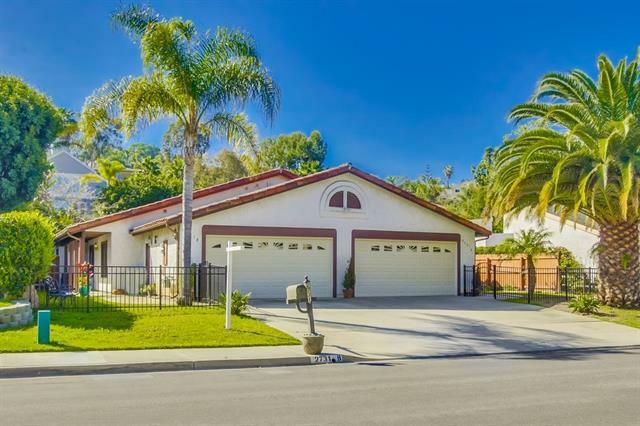 Beautiful 3 bedroom, 2 bathroom home in Del Mar with great indoor/outdoor living. Very open and spacious with a lot of natural light. 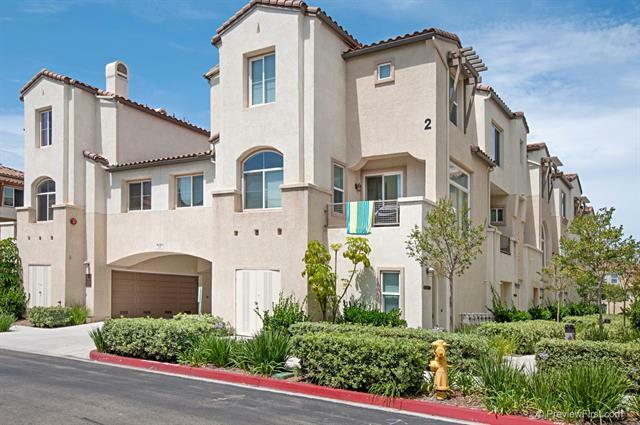 Del Mar Village location close to restaurants and the beaches of Del Mar allows you to take full advantage of everything Del Mar has to offer! SOLD for $3,200,000. Priced to Sell! Panoramic views & beautiful sunsets! 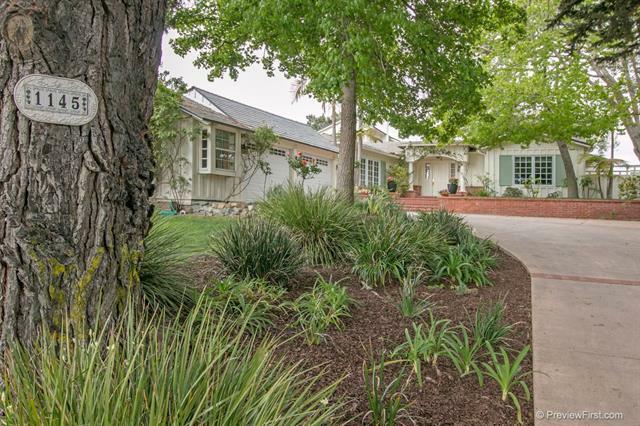 Rarely available, this San Miguel Ranch property sits high up revealing views that stretch to Point Loma! This home boasts 5 bedrooms, 4 full baths, a huge loft upstairs & a bedroom with a full bath downstairs. 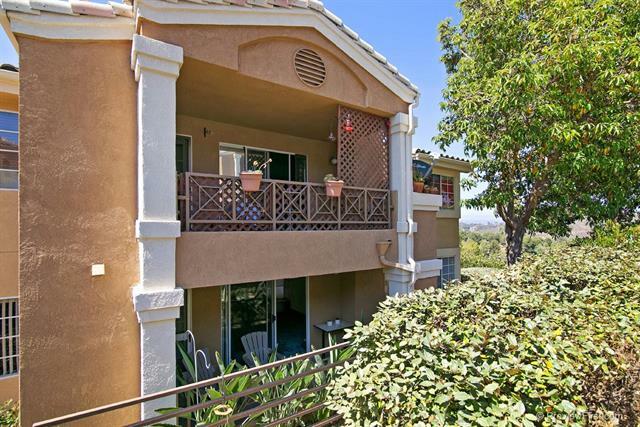 Spacious Master Bedroom w/ a large sitting area & balcony. 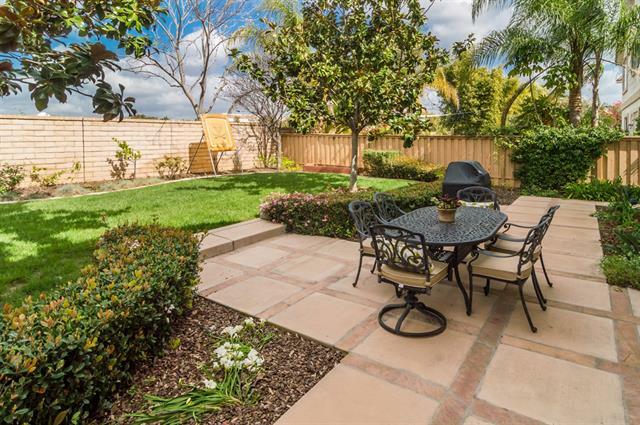 The custom landscaped yard features a gas fire pit, low maintenance turf and custom pavers. This property is an entertainers dream! SOLD for $642,000. 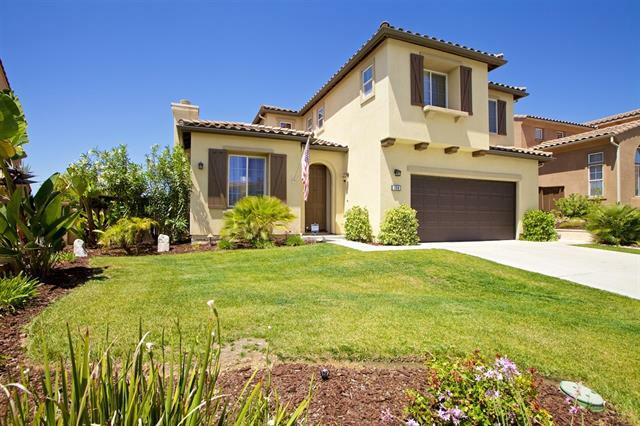 Very clean, meticulously maintained single level end unit in La Costa Alta. Fireplace, private patio off master bedroom and living room. Washer/Dryer, A/C, Quiet location. Walk to community Pool/Spa/Clubhouse & Gym. Detached garage plus 1 reserved space. Assigned Storage Unit on site. SOLD for $320,000. 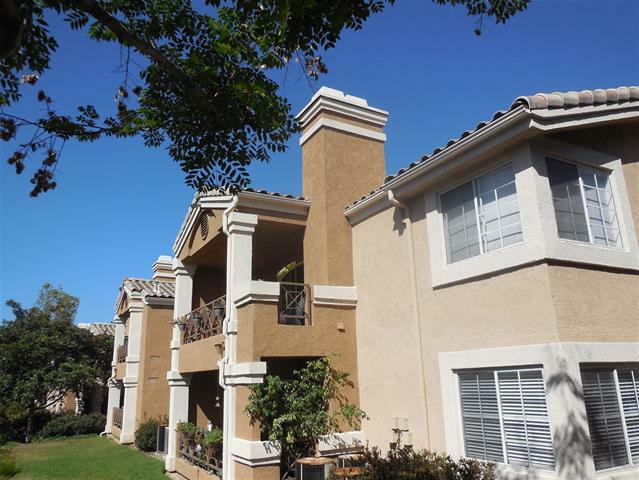 Charming condo in the highly desirable La Costa Alta complex. Open floor plan with bedrooms and baths on opposite sides, vaulted ceilings, a cozy fireplace and tranquil patio perfect for a nap or relaxing. 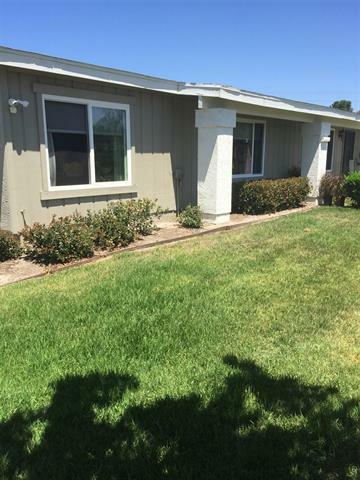 Features include recessed lighting in living room, ceiling fans in both bedrooms, newer carpet, newer washer and dryer, a one car spacious garage, additional covered parking space plus a storage unit. This resort like complex has a refreshing community pool and spa with an exercise room. SOLD for $345,000. Largest floor plan in Rancho Ponderosa. Quiet side of the street beautifully remodeled. Immaculate! Popular park filled neighborhood convenient to award winning schools, shopping, low HOA fees & no mello-roos. Distressed hardwood floors, updated kitchen & baths. New stainless appliances, corian, pendant lights, crown molding, double pane windows. remodeled banister. Freshly painted interior. new carpet. security system. recessed lighting. LG yard w/ BBQ. 3 car garage. 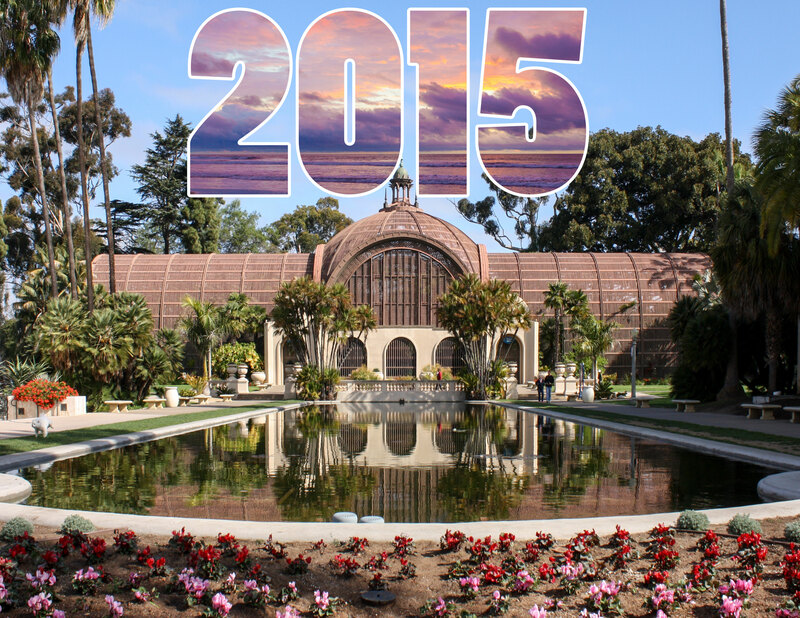 View supplement & virtual tour. SOLD for $815,000. Fabulous Single story Duplex building on a cul-de-sac street, wonderful location. Vaulted ceilings, ceiling fans & more. This elegant and wonderful duplex is light bright and airy and is in great condition. Original owners. These are 2 units being sold as one building. 2 car garage, private fenced yards w/patios. Each have wood floors, fireplace, 2 bedrooms + 1 optional bedroom. Live in one and rent other! SOLD for $1,059,181. 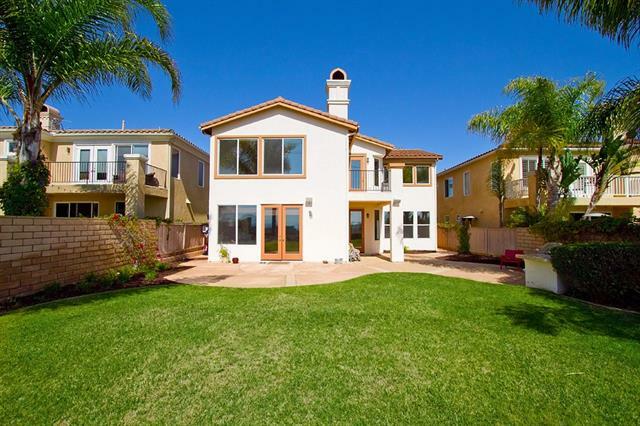 Rare opportunity to own one of the most sought after lots in Brisas Del Mar! This property boasts expansive panoramic ocean views along with views of the iconic Del Mar Racetrack and fairgrounds. This the largest single level model in the community, single owner property and one of the original model homes. 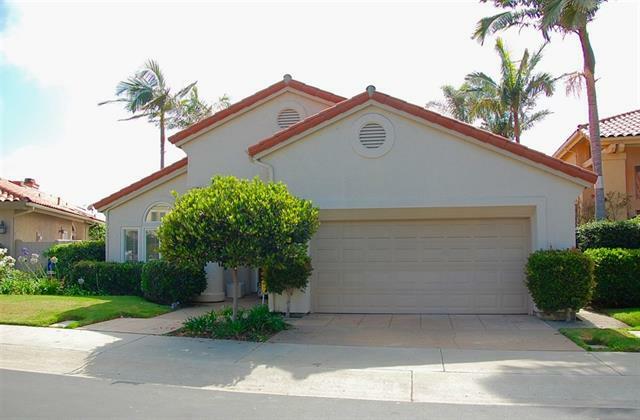 Here is your chance to create the home of your dreams in beautiful Del Mar. Walking distance to Flower Hill Mall, Whole Foods Market, fabulous restaurants and more! SOLD for $1,300,000. 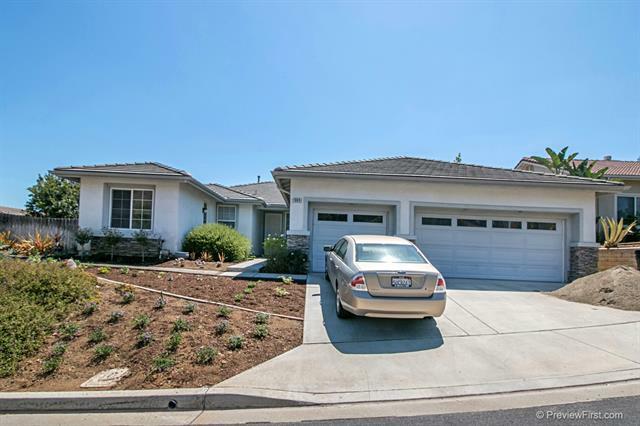 Excellent opportunity to own this upgraded 3 bedroom, 2 bath single story home on elevated prime lot, cul-de-sac location with views to surrounding community & hillsides. Recently remodeled kitchen with quartz counter tops, stainless steel appliances, glass tile backsplash & roll-out drawers. 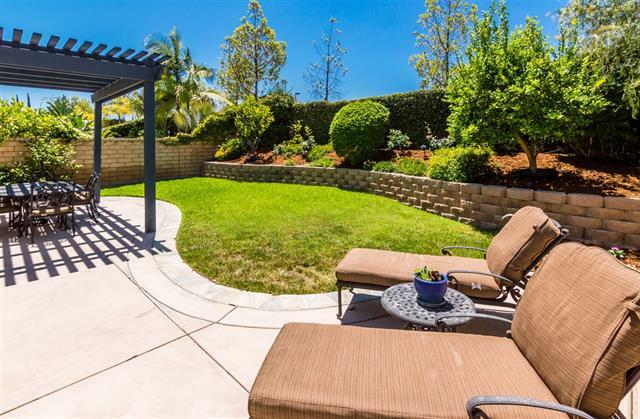 Beautiful hardwood & tile floors throughout, double sided fireplace, updated master bath, drought tolerant landscaping, built-in BBQ entertainment bar, sparkling pool & spa with waterfall feature & slate decking. SOLD for $540,000. This modern remodeled home will take your breath away! 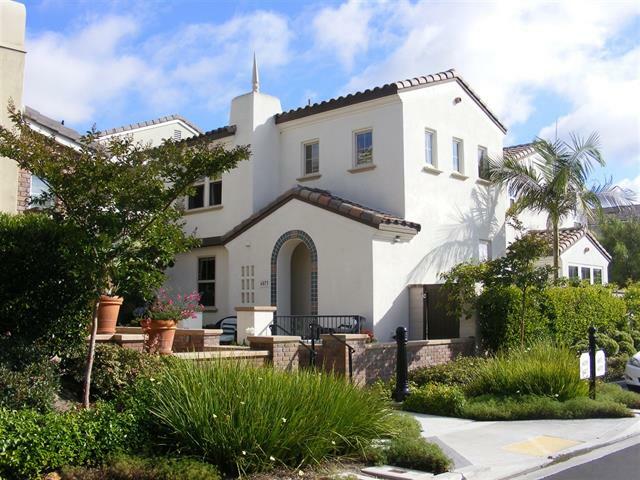 Elevated corner lot in gated community with spectacular views of Mt. Woodson & Lake Hodges greenbelt. Gourmet kitchen: stainless applcs, quartz counters, custom backsplash, travertine, dual zone wine fridge. 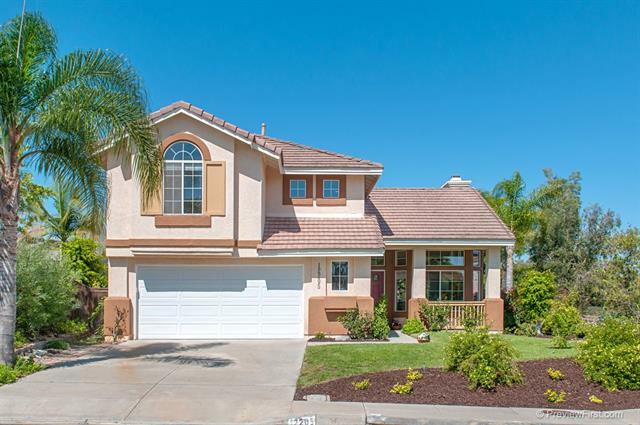 Vaulted ceilings, open floor plan, gorgeous lighting & refinished hardwood floors. Optional separate 2-bed suite w/ separate entry. Luxurious master suite: two walk-in closets, fireplace, soaking tub, walk-in shower, doors onto patio w/ spa. SOLD for $815,000. Wide open street location of “W” st. view of mtn/canyon/lights on no end of 55+ age restricted oceana. Enclosed 403 sq ft insulated patio w/ dual pane windows/ tile floors approved by the city and HOA! Remodeled master bath, berber carpets & tile floors. Single det garage identified “H” * close to guest pkg. Community pool, spa, osd golf course, clubhouse restaurant and a church. new funace and skylight. awesome location in community. SOLD for $224,900. 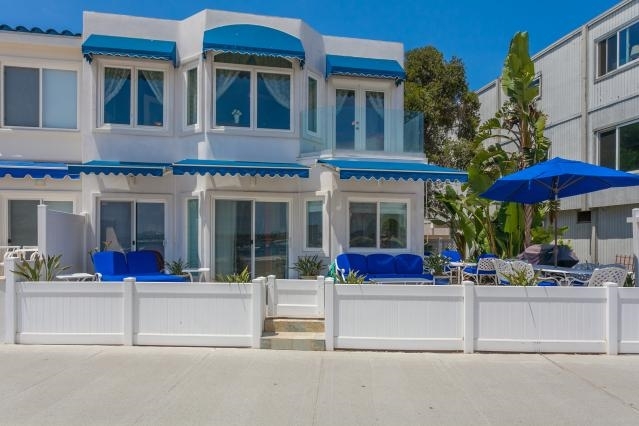 Oceana at it’s best; remodeled and updated view and quiet end location. Enjoy views from your dining and spacious living room. gorgeous remodeled kitchen with granite tile countertops, new white cabinets, travertine marble flooring, recessed lighting and bead board ceiling. updating includes new custom paint, baseboards, windows, heat & ceiling fans. 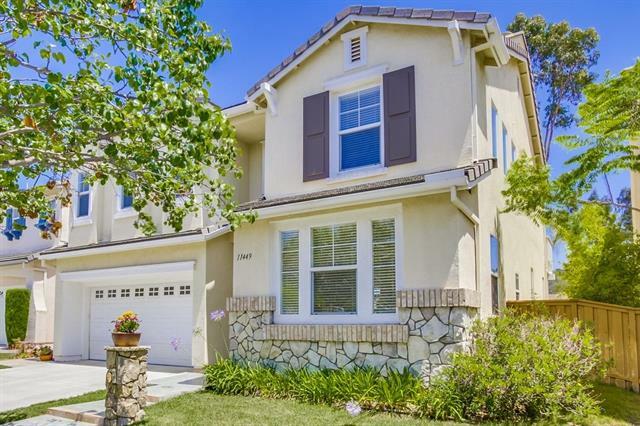 Both baths remodeled with amazing master suite with custom countertops, vanity * walk-in shower. Enjoy extended patio w/ skylite & San Diego pebble stone decking. SOLD for $264,950. 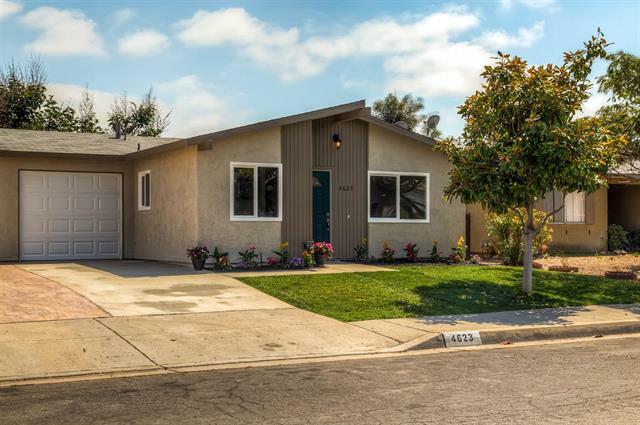 This beautiful and completely remodeled home can be yours with payments lower than you would pay in rent! 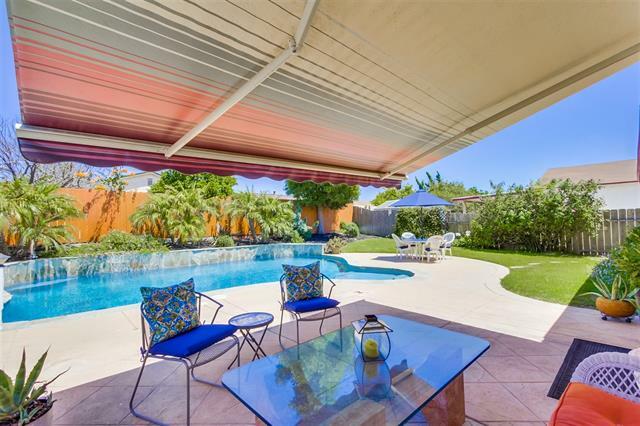 This Home features an amazing backyard with tropical landscaping… Fantastic Gourmet Kitchen along with the finer touches every home owner dreams of!! 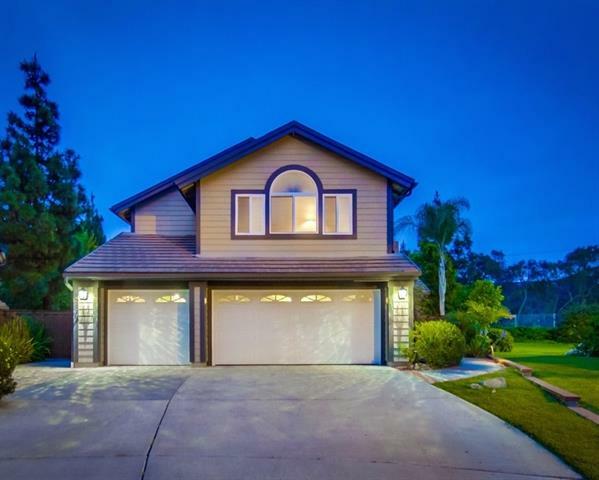 This home also has a one car garage and is located very close to Libby Lake and San Luis River with a short drive to Oceanside Beach! Start your families photo album in this home first! SOLD for $290,000. GATED CORONADO RANCH! WALK to Cal State San Marcos, shopping and more! Beautiful tri-level townhome with 2 bedroom suites! Custom paint throughout, upgraded carpeting, upgraded countertops & more! Wonderful community with sparkling community pool, workout room, BBQ, playground & close to freeway! Walk to Cal State San Marcos. SOLD for $325,000. Welcome home! This sets the bar for condominium living. Walk out to two patio areas one is covered area/fan and the other encompasses the full length of the building and has a private fire pit plus room for a large gathering of friends and family, barbeque and tables. Perched on the rim of a bluff, the view is simply spectacular. 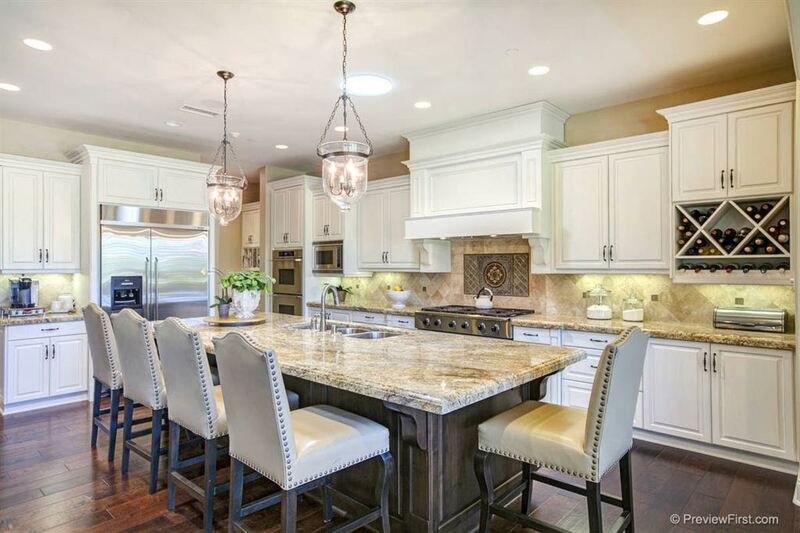 Your “dream” kitchen has top of the line granite counters and stainless appliances Upgraded carpet and large travertine-like flooring establish that this is one of a kind luxury. SOLD for $535,000. This former model is perfect for entertaining with a large open kitchen and family room plus the outdoor BBQ area. Additional upgrades include wainscotting, wood shutters, 3 fireplaces, granite counters, wood floors and a wine cellar. Guest will enjoy the downstairs bedroom suite. 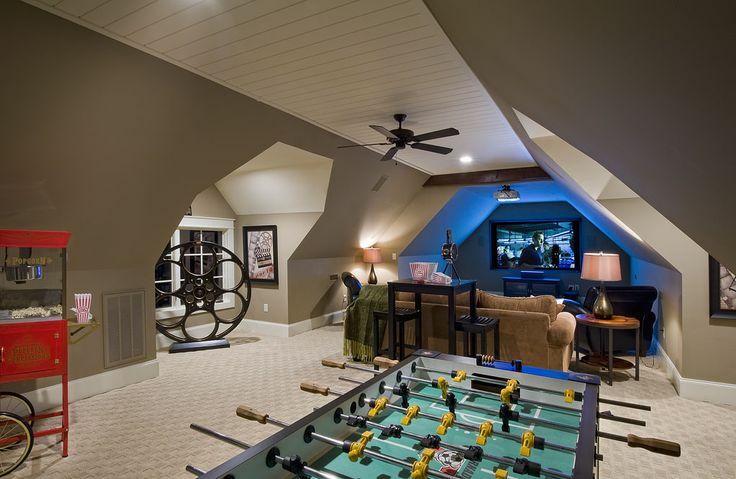 Upstairs has a built in home office/TV room. Master bedroom includes built in shelving for books or keepsakes. Most important is the convenience to Questhaven Park, great for playdates or just taking a stroll. SOLD for $759,000. Our spacious units on large corner lot 9,147. All have private patios & carports. Always rented, near shopping, schools, Vista Library & Civic Center. All four units recently remodeled. 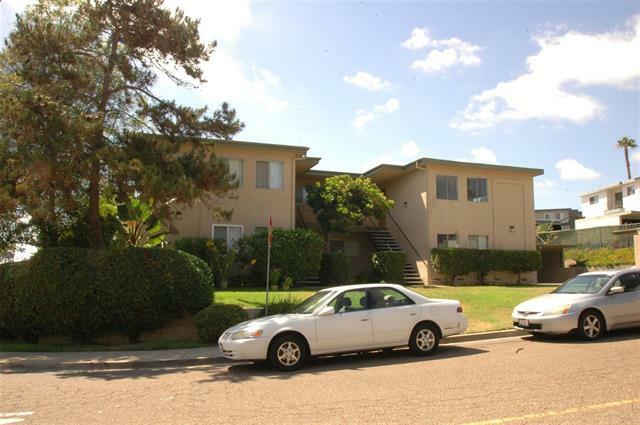 Two units are rented to long term tenants other two units are vacant due to remodel and ready to re-rent for new owner. Newer roof & exterior painting. SOLD for $730,000. Spacious 1 bedroom condo on ground level in private gated complex surrounded by beautiful tropical landscaping. Quite neighborhood, only a few blocks to the bay or beach. 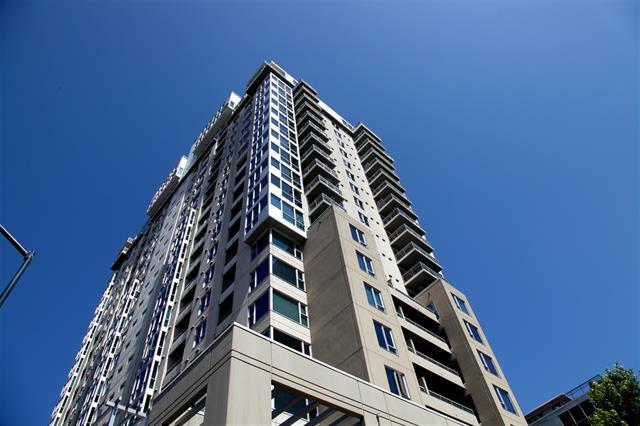 This condo comes fully furnished including flat panel TV’s and is turn key! Ready to go. Kitchen has refrigerator, dishwasher, double sink, garbage disposal, ceramic tile floor, large pantry, and natural light. Living dinning room is spacious and offers patio with beautiful views of the lush front garden. Basement Storage. Dry Sauna. SOLD for $330,000. Well maintained 4BR 2BA house plus two 2BR/1BA on full sized lot. Perfect for owner occupant plus rental income! Rents very low by long-term retiring owners. 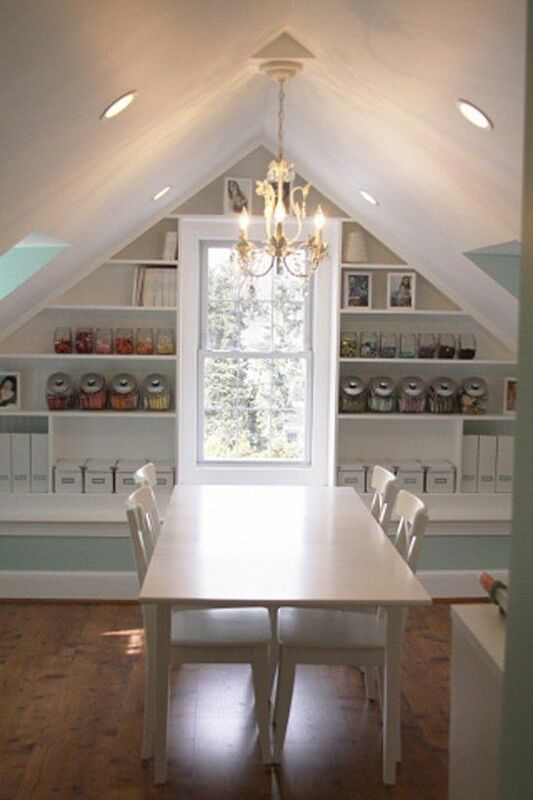 A hobby room above 2 car double garage is currently rented as a non-conforming 1BR. Laundry room plus extra hook-ups in garage. Nice patio area and plenty of parking. Artificial turf front lawn. 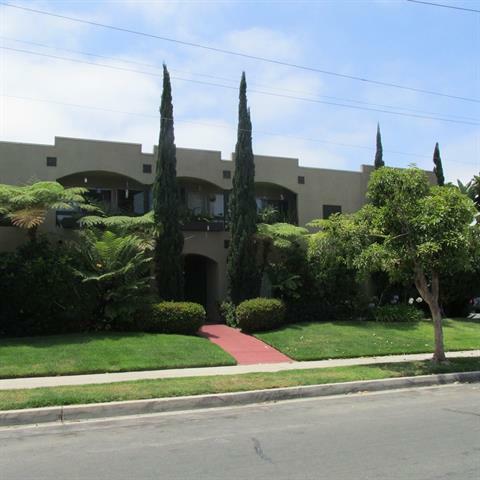 Close to shopping, restaurants, transit, schools and SDSU. Hurry on this pride of ownership property. SOLD for $785,000. 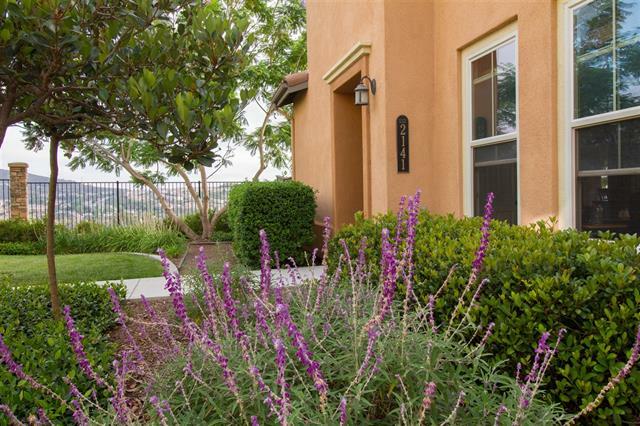 Live in style in the heart of Mira Mesa! 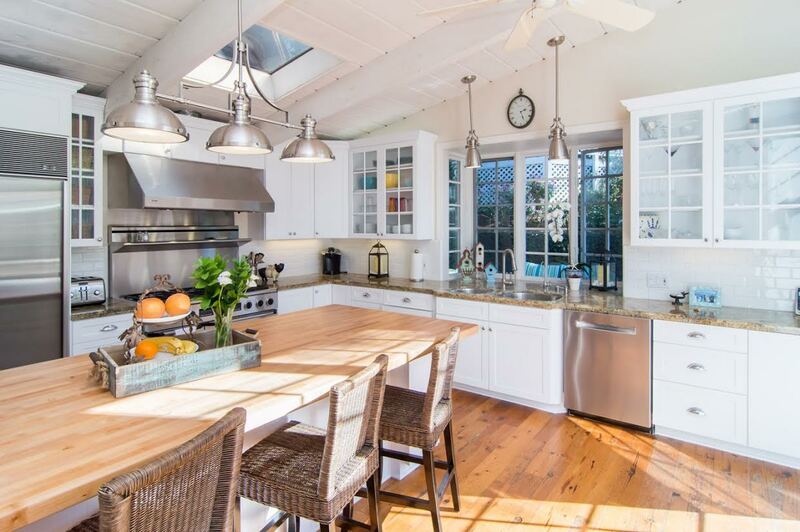 Remodeled kitchen with custom oak cabinets & panoramic backyard views. Living room with a large bay window overlooking the private front courtyard. Large master bedroom & recently remodeled master bath. 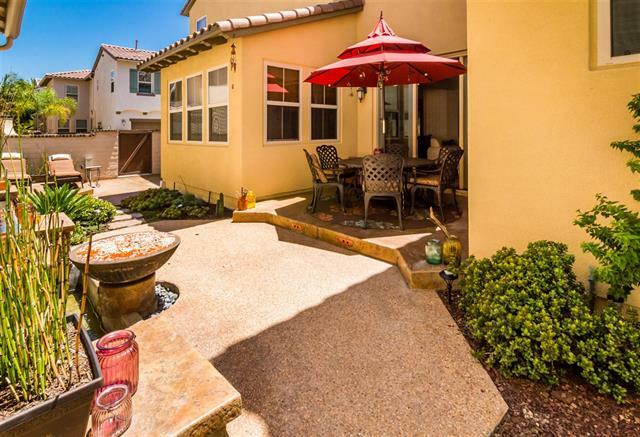 Spacious backyard oasis designed for family fun: gorgeous saltwater pool with baja shelf, large stamped concrete patio, lawn & lush landscaping. 2-car garage with plenty of storage space. Brand new upgrades throughout: carpet, tile, ceilings & paint. SOLD for $502,000. 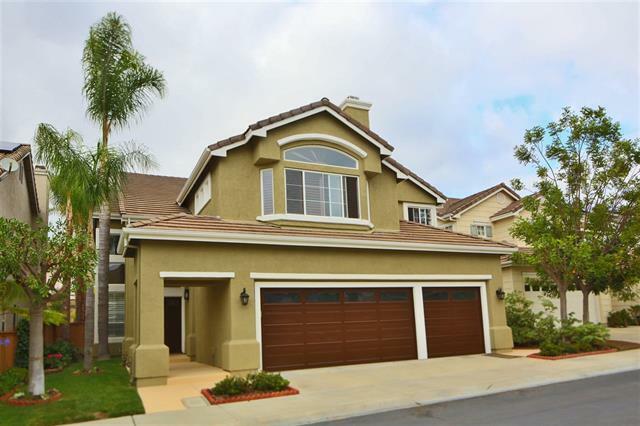 Fantastic canyon rim home that sits on one of the best streets in Mira Mesa. Wonderful backyard with panoramic canyon views! Lovely floor-plan with 4 bedroom, 3 baths, bed/bath combo downstairs, new carpet, neutral decor, 2 car garage with built ins, a/c recessed lighting, and a fireplace. Wake up to peaceful views in the spacious master including well appointed master bath with soaking tub and walk in closet. All this plus convenient location close to so much! SOLD for $675,000. 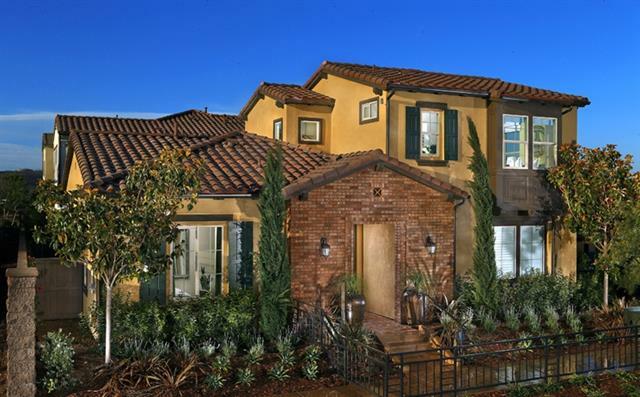 The Cielo floorplan at Prado was certainly a hit! Offering the Master Bedroom on the first floor as well as the Laundry Room, an ample sized Great Room, and an additional bedroom makes it seem like one-story living! The chef of the family will love this particular home!!! The Kitchen features gorgeous Bianco Antico granite with a complimentary glass tile backsplash. An upgraded KitchenAid appliance package finishes it off perfectly! Washer and Dryer already in home. SOLD for $845,000. Live in modern elegance! Open floor plan Del Sur home is flooded with natural light. Gourmet kitchen: granite counters, full tile backsplash & stainlss applncs. Large master suite overlooks backyard; features huge tub & tile floor. Main floor bed & bath! Upgraded wide-plank hardwood & Berber carpet throughout. OVERSIZED water-conserving backyard: rain barrels, covered sitting area & fireplace. Tankless water heater & carbon water filter. Short 1.5-blocks to Del Sur Elementary. SOLD for $949,000. RUN! Don’t walk to this Fabulous Find in Sabre Springs. This 3br/3ba + loft + downstairs office (could be Bedroom #4) has been recently updated w/a Brand New Kitchen: Crisp white cabinets, subway tile backsplash, marble countertops & stainless steel appliances. New flooring throughout: Downstairs features wood-like tiles (easy to maintain/wears beautifully) and plush carpeting upstairs. This home is within walking distance to acclaimed Creekside Elementary & has LOW HOA & Mello Roos fees. SOLD for $723,000. 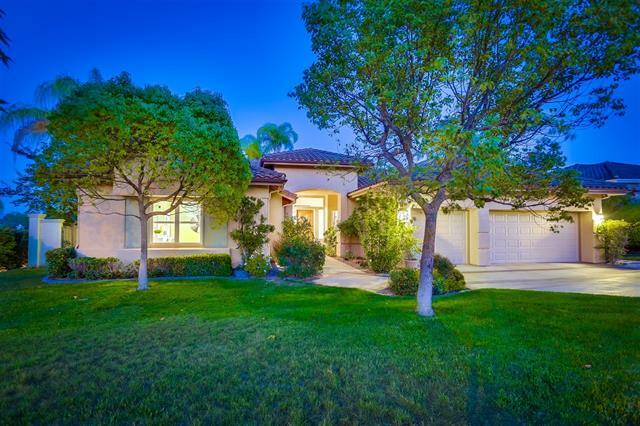 Wonderful “Hillsborough” Family Home in PRIME Location…just steps to BEST Community Park & Creekside Elementary School*Backs to Open Space & Poway Creek with GREAT Mountain Views!! 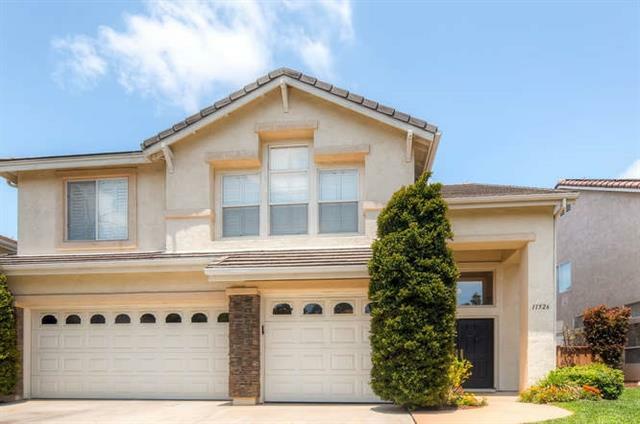 *Brand New Carpet June ’15*Over $91k in Upgrades (see attached) *Fabulous Travertine Floors*Kitchen-Granite Counters & Travertine Backsplash, Newer SS Appliances*Family Room Boasts Huge Volume Ceiling*Full Bed & Bath Downstairs*Master Suite w/Marble in Bathroom, Huge Walk-In Closet*5th BR used as Office*Very Peaceful Yard*PUSD. SOLD for $840,000. 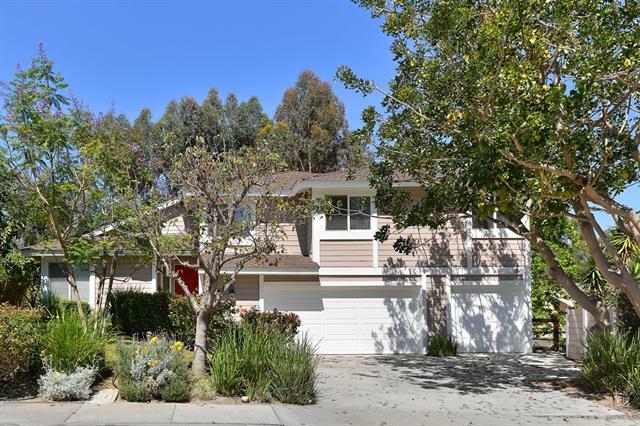 Gorgeous, updated home in highly desirable Park Village. All new: carpet, baseboards, porcelain tile floors in main living areas, granite counter tops & SS appliances in kitchen. Recessed lighting & glass front cabinets. Freshly painted w/ decorator colors. Ledger stone fireplace surround, convenient built ins. Loft can be used as a 4th bedroom or easily converted. Poway School District including Park Village Elem, Mesa Verde MS, Westview HS. 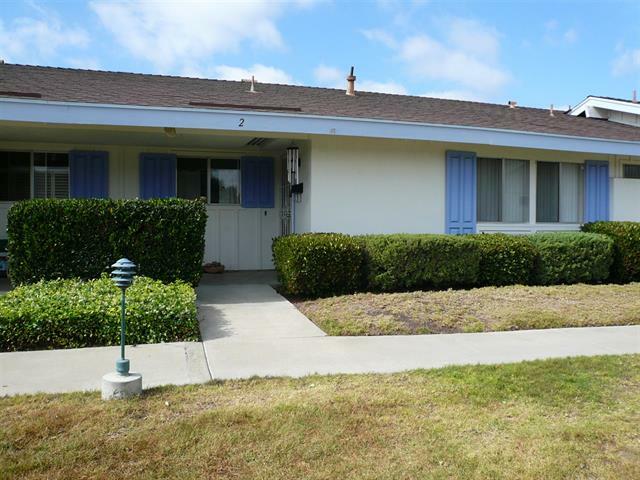 Close to parks, freeways and shopping. SOLD for $730,000. Highly desirable location on low traffic cul de sac. Convenient downstairs bedroom with full bath. Upgraded kitchen with granite counters & tumbled stone back splash. Decorator touches include neutral paint colors, 4″ baseboards, updated fireplace mantle. 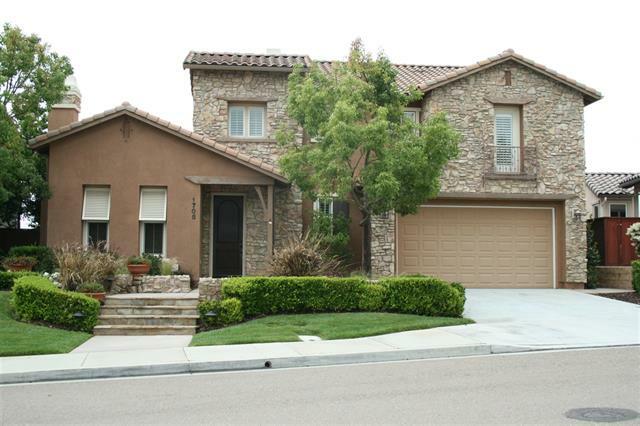 Downstairs and master baths updated w granite counters, decorator mirrors and custom sinks! Enormous backyard for entertaining and gardening! 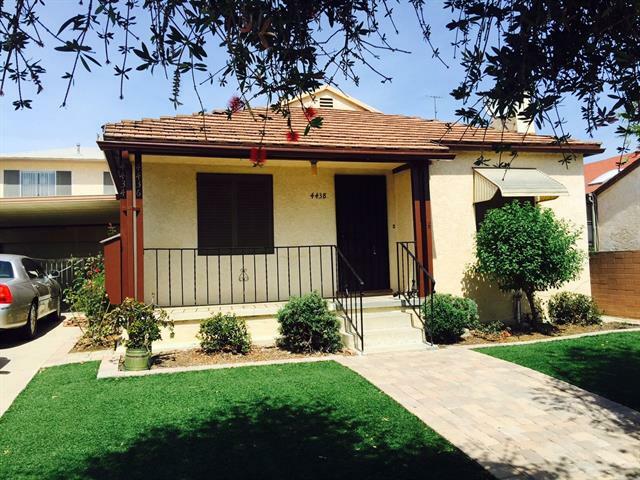 PUSD and close to parks, freeways, shopping. No HOA & soon to expire Mello Roos ! SOLD for $765,000. WOW! 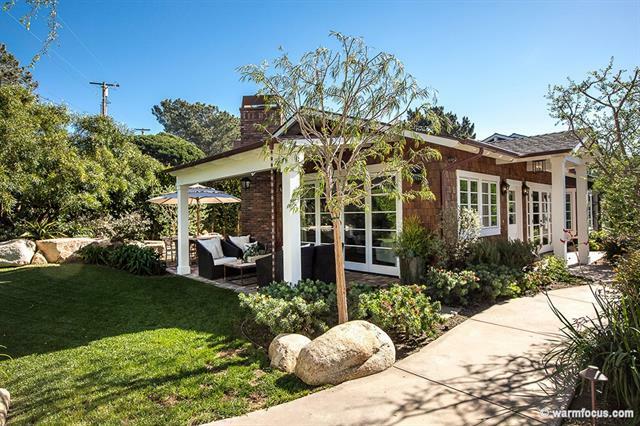 Summer fun begins at this remodeled home perched at the end of a cul-de-sac with sweeping panoramic views and delightful freeform pool and spa. Forget the work–this house is done! Many new windows, distressed birch floors, farmhouse kitchen with new walnut butcher block island, new golden crystal granite tops throughout, new baseboard, new crown molding, new hardware and fixtures throughout, newly faux finished cabinets throughout, new carpet, new interior and exterior paint. SOLD for $840,000. 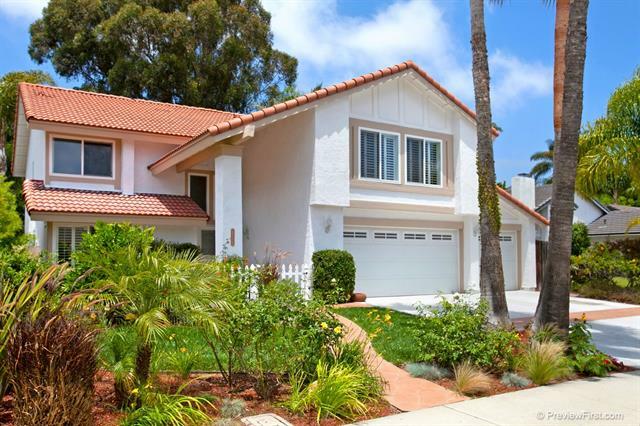 Prestigious Park Village home w/breath-taking westerly views! Premier location on low traffic cul de sac. Designer’s delight with newer cabinetry, granite, SS appliances, separate wine room & 2 wine chillers. Newer dual pane windows, shutters, crown molding, wrought iron stair railing. Gorgeous remodeled baths! 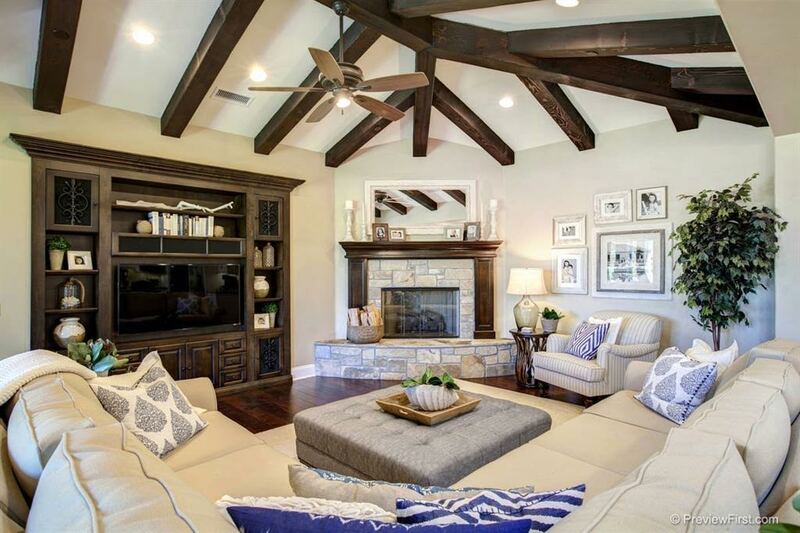 Enjoy fireplaces in living room, family room and entertainer’s backyard. Convenient bedroom/office & full bath downstairs. Mesa Verde MS, Park Village Elem. SOLD for $875,000. Just in time for Fall semester at outstanding Solana Ranch Elementary & Canyon Crest Academy. Light & airy, popular Portico Plan 1 on corner lot of friendly court. Immaculate condition. Convenient 1st floor br & bath. Tasteful upgrades include travertine flooring, custom window coverings, built-ins & storage, and a/c. Enjoy superb PHR lifestyle: rec center, pool, gym, walking trails & nearby shopping. 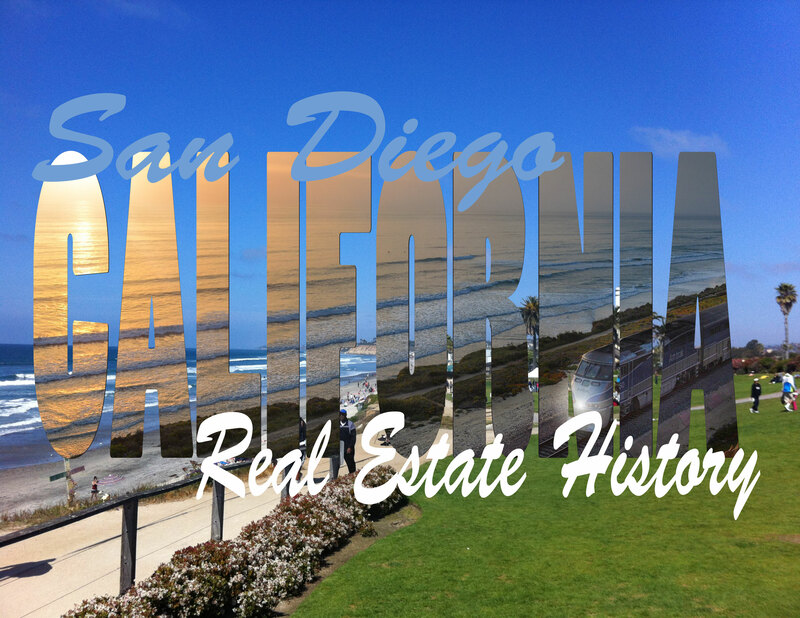 Easy access to Del Mar beaches & coastal tech community. SOLD for $890,000. Wonderful Portico in Pacific Highlands Ranch, featuring beautiful wood floors, gourmet kitchen with large island, one bedroom and full bath on main floor with 3 others including lovely master suite with upgraded master bath. 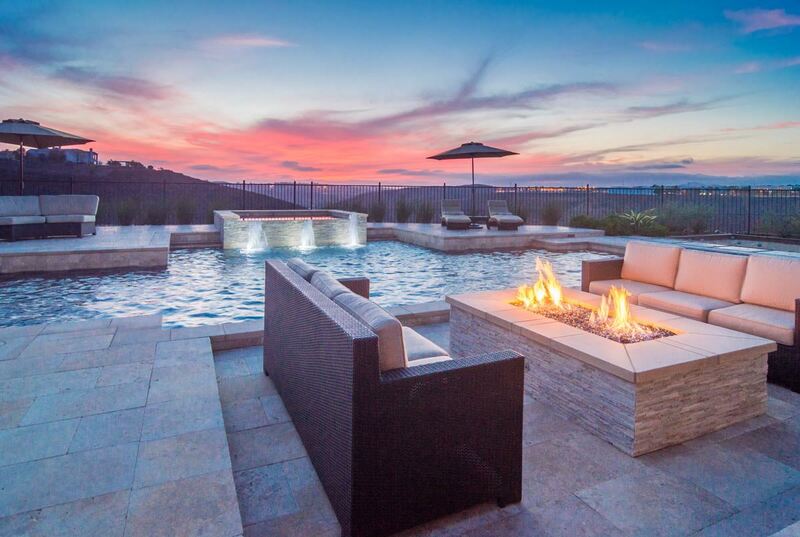 Outside enjoy one of the more spacious exterior patios with lovely fountain, glass rock fire pit and space to lounge. 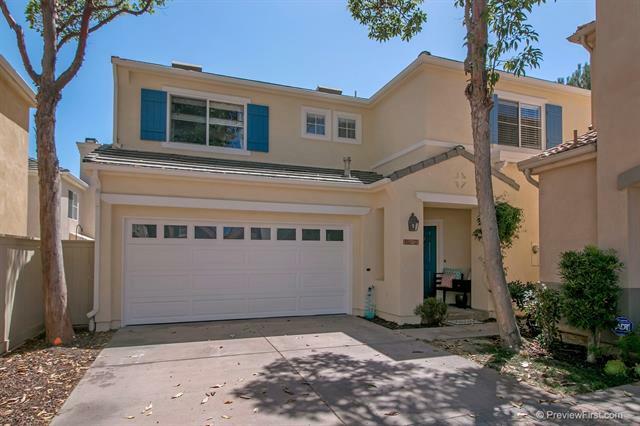 All this plus the amazing location within a short walk or drive to the new Pacific Highlands shopping center, top rated schools, freeways, beaches and so much more! SOLD FOR $885,000. This move-in ready home is located in a most wanting community – Palacio Del Mar, a resort style and gated community. When you entered this home, you will be greeted with a magnificent floor madeline, elegant chandelier, high ceiling, wood flooring and lots of nature light. The beautiful iron-railing staircase would also wow and amaze you. The kitchen is gorgeous with updated granite, center-island, cappuccino- color cabinet, stainless appliance and a wine cooler. SOLD for $1,050,000. 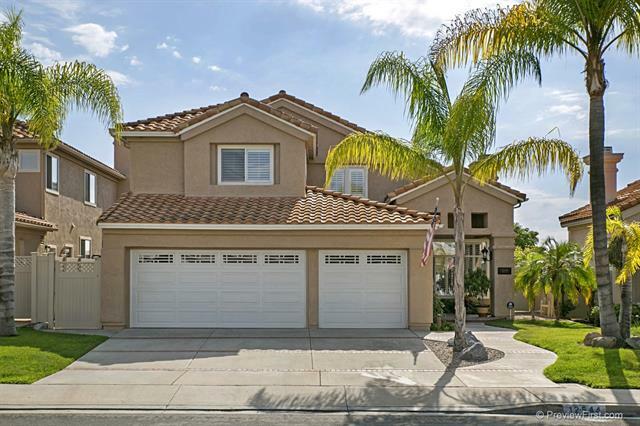 Stunning 2,649 square foot 5 bedroom/3 bath home with 3 car garage sits on a large, private lot at the end of a cul-de-sac. Features a gourmet open concept kitchen with large island, stainless appliances & custom cabinetry, granite counter tops, maple wood floors, recessed lighting, upgraded bathrooms, a gorgeous pool and waterfall, jacuzzi, fire pit & professionally designed landscape. 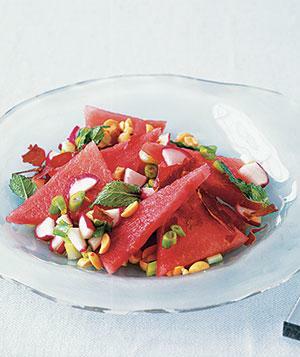 A must see, ideal for entertaining! A walk to award winning schools, parks & shopping. SOLD for $1,061,500. Seller will entertain offers between 1,098,000-1,148,000. 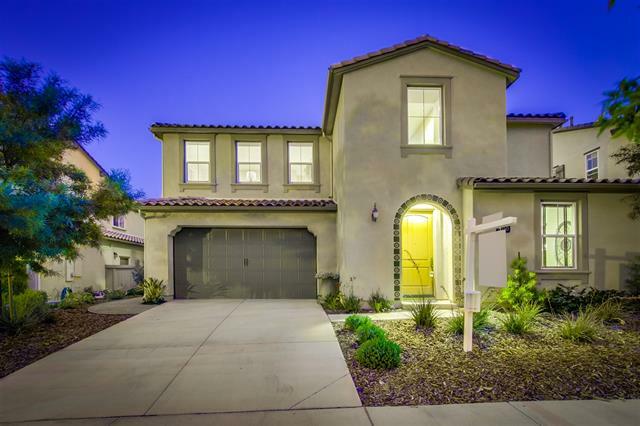 Fabulous Soleil at Bordeaux w/wonderful upgrades inside & out! Gorgeous hardwood flooring & porcelin tiles, sparkling granite counters, s/s appliances, beautiful raised panel kitchen cabinetry, wonderful built-ins including Murphy bed/desk in dwnstrs bdrm (can be removed by seller if needed), full bdrm/bath downstairs w/3 bedrooms up plus large bonus rm, gorgeous marble master bath, tankless hot water, lovely private backyard w/large patio cover. SOLD for $1,107,500. Highly desirable Belmont plan 4 featuring 5brms, one on main floor with private bath, & large upstairs bonus room. Lovely floor plan with neutral tones, double sided staircase, spacious kitchen with slab granite, center island & pantry. Beautiful master suite with fireplace, large bathroom & huge closet, upstairs laundry & much more! Outside enjoy private yard with plenty of room for entertainment. 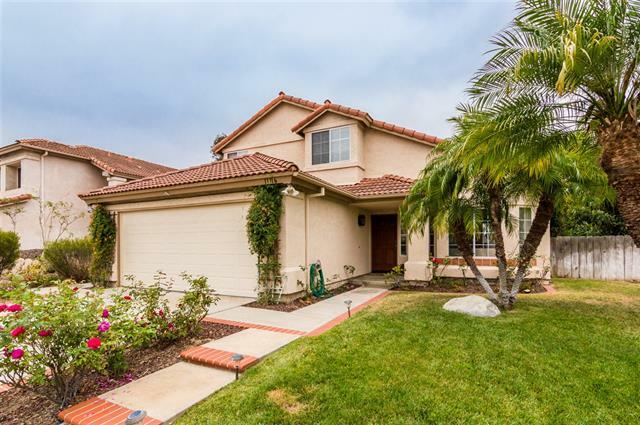 All this plus just a short walk or drive to top rated schools, parks, shopping, freeways & beaches. SOLD for $1,282,000. 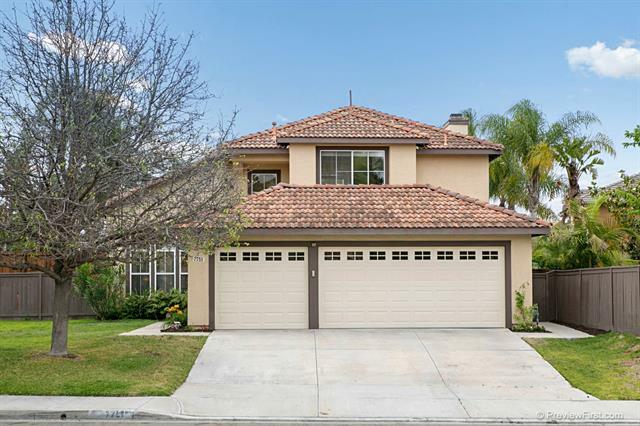 Spacious 5 bedroom home on a quiet Cul-De-Sac! Ideal for indoor/outdoor living and entertaining, it features an open floor plan, remodeled chef’s kitchen, large family room, french doors open to charming patio. Two level backyard with new patio and stone seating walls, beautiful fountain and wood pergolas. Master suite has a private balcony with views of the Eucalyptus trees. This home has all the extras, upstairs laundry room, 3car garage with tons of storage, wood floors, 5th bed makes a great office. SOLD for $835,000. In this series, we’ll be taking a look at ways to get more square footage from your house…by going outside. 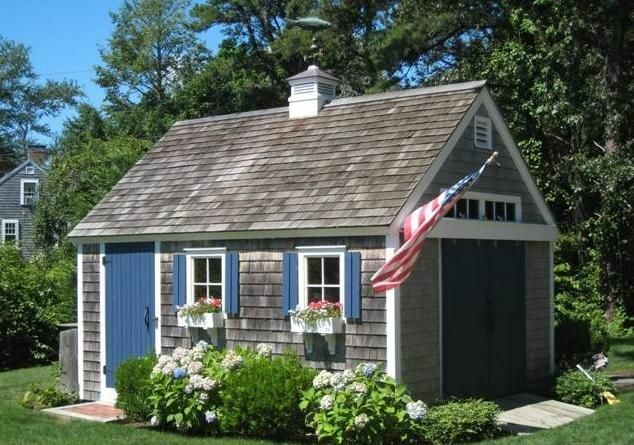 Whether it’s converting an existing garden shed, barn, or detached garage or getting more use out of a casita or poolhouse, more and more people (especially in temperate climates) are looking to their backyards to solve their space problems. No room for an office, guest room, or man cave? 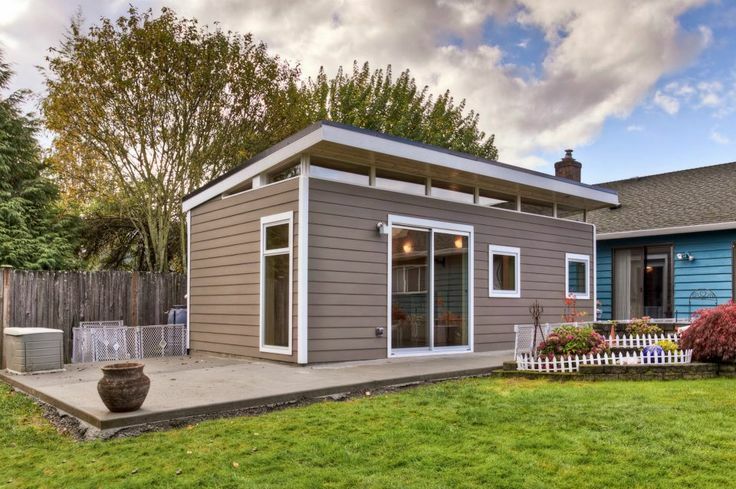 By using what you already have or adding a prefab structure, you can get more square footage for a fraction of the cost of a home extension. 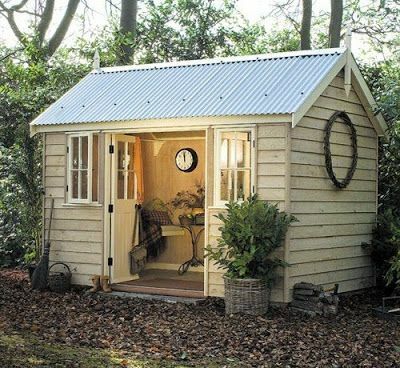 This month, we’ll be highlighting some awesome converted garden sheds to get you inspired to create extra space in your own backyard. 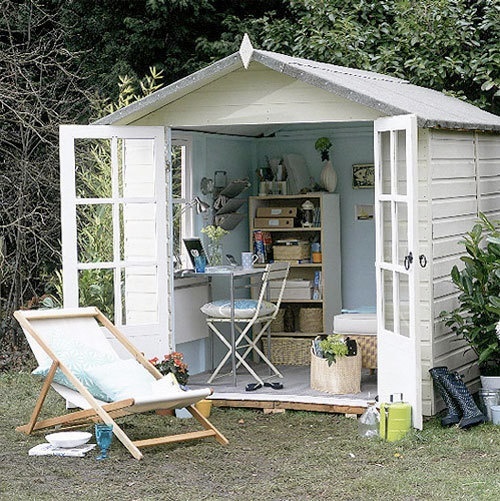 With a little ingenuity and effort, you can transform your old shed into a beautiful, workable space!